All coaches agree with the main benefit of futsal being the large quantity of touches a player gets as compared to soccer, especially since futsal is played in the soccer off-season. But there’s much more, such as regularly playing both offense and defense, frequently transitioning between offense and defense, and the frequent one-on-one moments with the ball facing an opponent up close. A more complete detailing of the benefits of futsal can be read here. 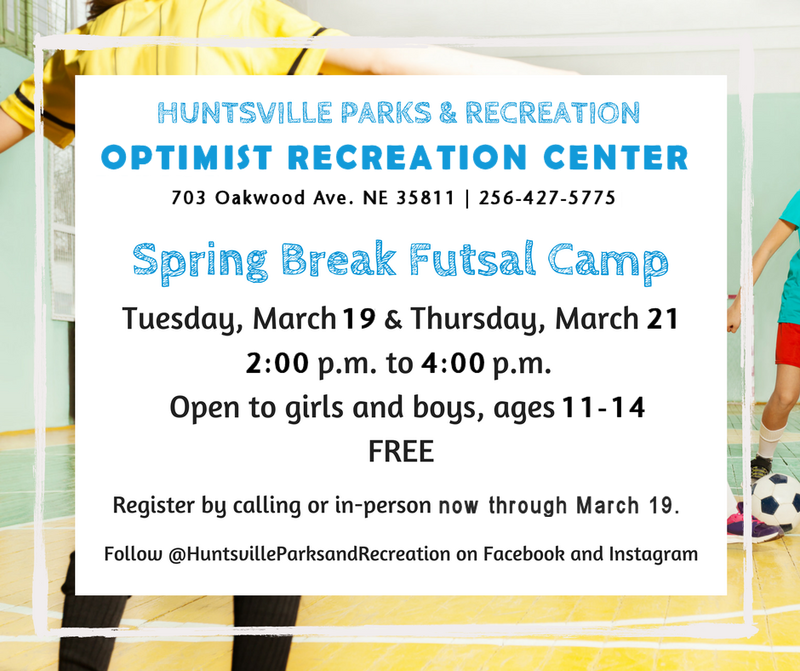 Coming REAL SOON is a free Youth Futsal Camp during school Spring Break. For two afternoons that week youth will be taught quickly the differences between soccer and futsal and then will be formed into teams to play several games of futsal. Futsal is a fast paced, high scoring, exciting version of soccer that is growing in popularity all across the U.S. Cost: F R E E ! ! ! Fill out form and give to staff at Optimist Rec. Ctr. or take with you on the day of the camp. 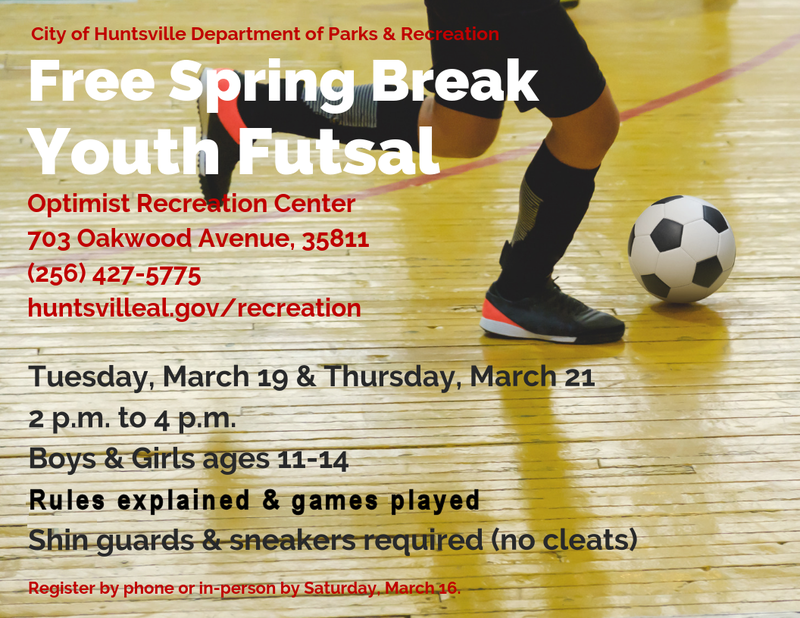 This is a Huntsville Parks & Recreation event with help from the North Alabama FUTSAL League. Contact the Optimist Rec. Center, 256-427-5775, with any questions and to register. Note: Any current middle school soccer team member for a school whose soccer program falls under AHSAA may need to forego this opportunity because of the restriction by AHSAA called the “Participation Rule”. AHSAA views futsal as being equivalent to soccer in this regard.